Gaming Laptops can be very expensive and their price can easily go past 1000 dollars if you want the best ones out in the market. But even if you have budget of less than $1000, then also you can get a pretty good gaming laptop which will let you play latest games on medium to high settings at 1080p resolution. The main component of a gaming laptop is a powerful dedicated graphics card because without it you won’t be able to play latest games at good frame rates on high graphics settings at 1080p or higher resolution. 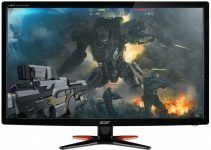 Under $1000 budget you can get a decent gaming laptop equipped with good mid-range graphics card. So here I am going to provide you the list of best gaming laptops under 1000 dollars equipped with powerful mid-range graphics cards. Here are the best gaming notebooks under 1000 dollars for gaming at 1080p. These $1000 gaming laptops are equipped with powerful mid-range graphics cards, fast processors, adequate memory (RAM) and have got good overall specifications. 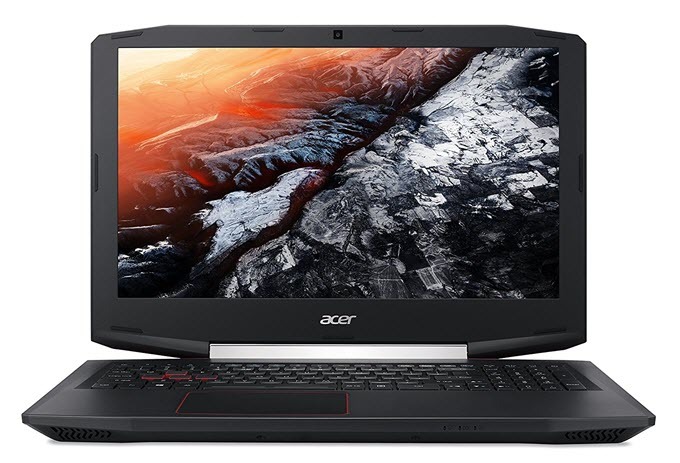 Acer Aspire VX 15 (VX5-591G-54VG) is one of the best gaming laptops under 1000 dollars. This is a latest generation laptop and comes packed with high-end specifications and features. This 1k dollar gaming laptop comes with GeForce GTX 1050 Ti graphics card with 4GB GDDR5 VRAM. GeForce GTX 1050 Ti is a powerful mid-range graphics card from Nvidia based on the Pascal GPU architecture and it can run latest games on mid-high settings at 1080p with playable frame rates. On the specifications side, the laptop comes with Intel Core i5-7300HQ Quad-Core Kaby Lake Processor @ 2.50 GHz, 16GB DDR4 RAM, 256GB SSD Storage (M.2 SSD), 15.6-inch Full HD Screen and comes loaded with Windows 10 Home 64-bit Operating System. 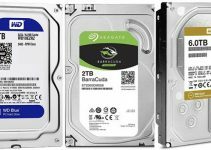 If you want to add a Hard Drive then you can request for the HDD Mounting Kit on Acer website for free. The laptop has got 3-cell 4605 mAh Li-ion battery that has maximum rated time of 6 hours. On the connectivity side the laptop comes with USB 3.0 ports, USB Type-C port, Wi-Fi- Gigabit LAN. The only disadvantage is the laptop lacks Optical Drive but you can buy an external Optical Drive anytime. The laptop looks very stylish, modern and is also not heavy as it weighs at only 2.5Kg. The build quality of laptop is all plastic but is pretty good. This compact gaming laptop does not get very hot even during intensive gaming sessions and the temperature always remain under 70 °C. Highly Recommended by me. Acer Aspire VX 15 (VX5-591G-75RM) is the bigger brother of the above mentioned Acer Aspire VX 15 (VX5-591G-54VG) laptop. This laptop is similar to the VX5-591G-54VG laptop in design, looks as well in specifications. The only difference is that it comes with a better and faster processor which is Intel Core i7-7700HQ clocked at 2.80 GHz. The laptop comes with the same GeForce GTX 1050 Ti graphics card having 4GB GDDR5 video memory. All the other specifications of this laptop remain same as Acer Aspire VX 15 (VX5-591G-54VG) laptop. The laptop is slightly expensive because of faster Core i7 Kaby Lake processor but is still worth the money. 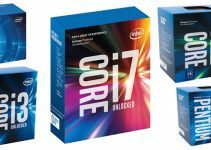 So if you can extended your budget a little and want the latest Core i7 processor then you should get this one. When it comes to gaming laptops then you cannot miss on MSI. MSI makes one of the best gaming laptops for both mid-end and high-end gaming. 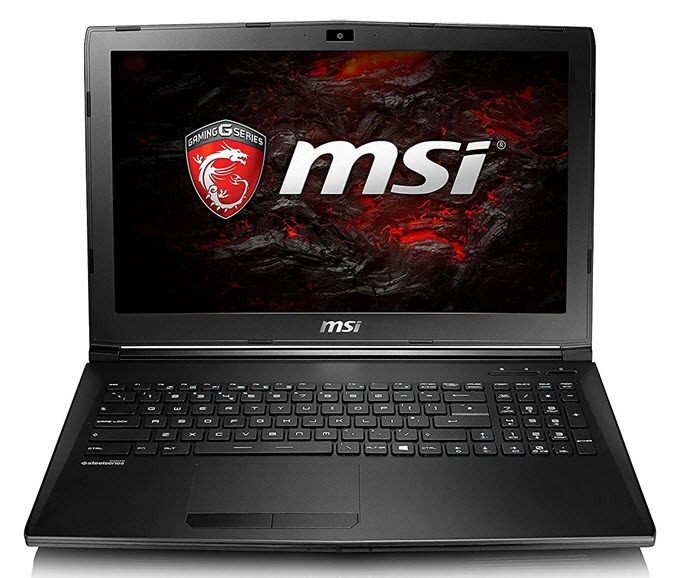 Here from MSI we have MSI GL62M 7RE-623 Gaming Laptop which is a powerful mid-range gaming laptop. The laptop comes in all black color and has good overall build quality. This gaming laptop is powered by the latest Intel Core i7-7700HQ Quad-core Kaby Lake processor and comes with GeForce GTX 1050 Ti Graphics Cards having 4GB GDDR5 memory. This means you can play latest games and older games on this laptop on mid to very high settings at 1080p. This laptop has got 8GB DDR4 RAM (2400 MHz), 15.6 inch FHD display (with eDP Vivid Color 94%), 1TB Hard Drive, USB 3.0 ports and a powerful 6-cell battery. The laptop comes loaded with Windows 10 operating system. The laptop also comes with many special features that include 94% NTSC Panel for excellent display colors and quality, Cooler Boost 4 technology with 3 dedicated GPU heatpipes and 3 dedicated CPU heatpipes to keep the laptop temperature low during gaming and Steel Series gaming keyboard. The laptop does not come with optical drive but you can always buy an external optical drive anytime. My only regret regarding this laptop is that its keyboard is not back-lit which seems strange for a 1k dollar gaming laptop. But overall it is a solid gaming laptop for serious gamers on moderate budget. Highly Recommended by me. Asus is popular name in PC Hardware and is known for making high quality PC components, smartphones and laptops. 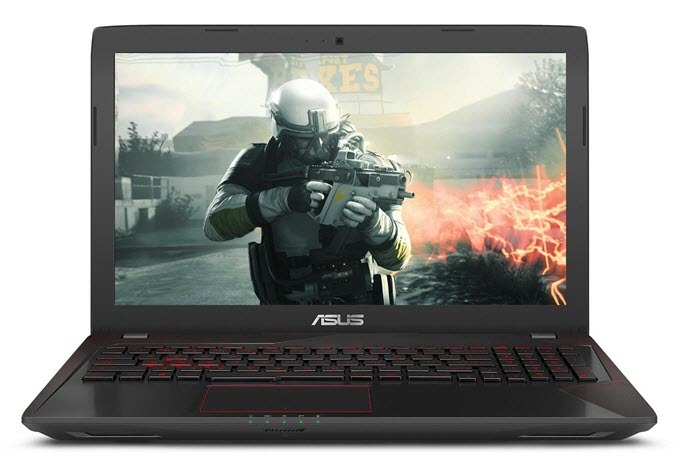 Here from Asus we have Asus ZX53VW-AH58 Gaming Laptop that comes with Intel Core i5-6300HQ Skylake Quad-core Processor (6th generation) and GeForce GTX 960M Graphics Card with 4GB GDDR5 memory. GeForce GTX 960M is a slightly older mid-range graphics card based on the Maxwell GPU architecture. It is one generation older card compared to the GeForce 10 series cards. The performance of GeForce GTX 960M is less than GTX 1050 Ti but still it is powerful enough to play latest games on medium graphics settings at 720p or 1080p resolution (for less demanding games). This Asus laptop comes with 8GB DDR4 RAM, 512 GB SSD (M.2), 15.6 inch Full HD Screen and a DVD Super Multi optical drive. The screen of the laptop has matte finsih which means you will not get any glare from it. The laptop has got 4-cell Lithium-ion battery which has just average backup. The laptop comes pre-loaded with Windows 10 Home 64-bit operating system. Overall it is a decent budget gaming laptop that comes with optical drive. Also You can also add a Hard Drive additionally on this laptop using HDD bay. At the end I would like to say that these above mentioned laptops under 1000 dollars are really good for gaming and will not let you down. They come with pretty good graphics cards and latest high-end processors. If you have any queries regarding gaming laptops or gaming build then you can always ask me by leaving a comment below. Intelligently written article. We admire your Computer Science and Engineering background. Your top 3 gaming laptops are equipped with the GTX 1050Ti graphics card. Which we agree is a great mid-range GPU for running the latest titles on mid to high settings at 1080p. What are your insights about 4K display and NVIDIA’s 10th gen graphics cards? Do you feel they are better equipped to handle this technology than older cards? Or are they just about the same? Informative article mate. Keep up the good work.